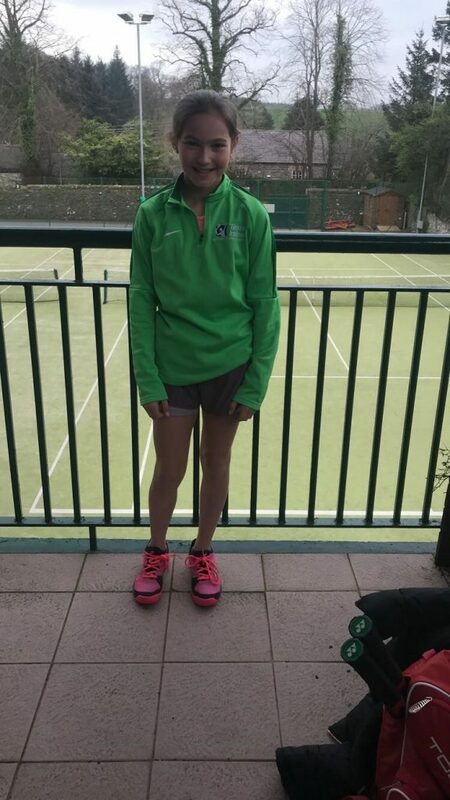 Well done to Chloe Collins who won her first u-12 open at the weekend in Downshire tennis club beating Paige Hawthorne from Belfast 6-3, 6-4 in the final. Chloe also won the doubles with Niamh Lowry from Belfast Boat Club. James Lammas and his partner Christian Doherty from Riverview won the u-12 boys doubles..